Below is a list some of the best contemporary table we can find (so far ;) ). 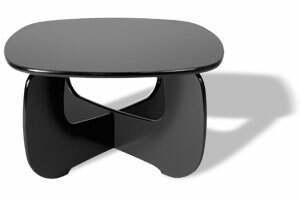 This Contemporary Table is called the "intown occasional table"
I haven't really worked out the reason behind the name but if I do I'll add a edit here. Quote from the site "Inspired by classic modern forms and constructed from just three pieces of Forest Stewardship Council (FSC) Certified/environmentally friendly SmartWood®"